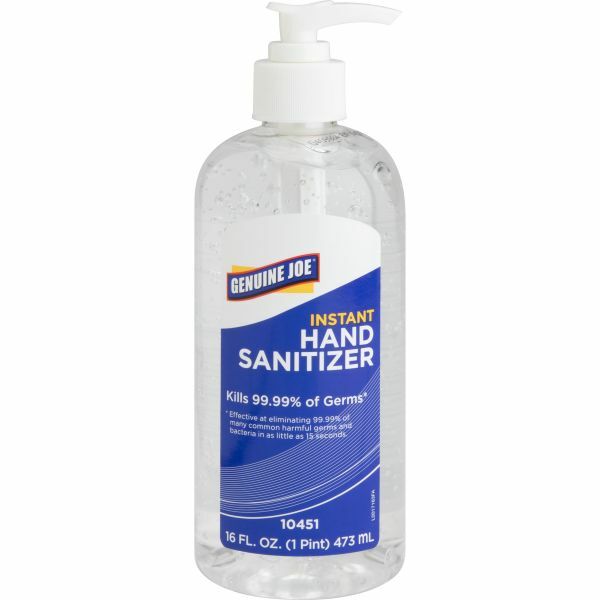 Genuine Joe Gel Hand Sanitizer - Hand sanitizer is proven to kill 99.9 percent of most common germs on hands within 15 seconds without soap and water. This hand sanitizer has been tested and is certified as biobased. 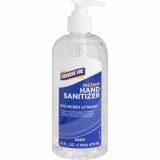 Enriched with vitamins A and E. Hand sanitizer contains two moisturizers to help prevent irritation even with frequent usage. Offers a pleasant and neutral fragrance and is not tested on animals. Meets CDC guidelines and JCAHO (now known as JC-Joint Commission) standards.